Dentaworks complete tooth whitener with Tooth Whitening Pen effectively removes yellowness, stains and discolourations, giving you dazzling white teeth. The method is the same used by dentists and you can whiten your teeth in the peace and quiet of your home. The unique, clinically tested formula is a result of more than 10 years research; it has a neutral pH and is peroxide-free. "I don’t use it for only two hours; I leave it on during the night... I always wake up smiling… it is working really well...! Not too expensive either!" "Seriously, it really works. For real! I'm really happy. 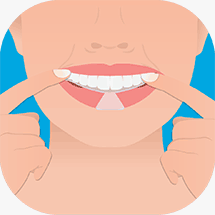 Have somewhat crooked and lopsided teeth so I thought it would be difficult to get it even, but no it worked great =) THANK YOU"
"It worked really well, I have always had stained teeth if not very yellow. But now they are evenly white and I get positive comments daily! But of course I am not revealing my secret;)"
Dentaworks unique bleaching gel for teeth is neutral in pH and 100% free from peroxides such as carbamide peroxide and hydrogen peroxide, and is therefore gentle on your teeth. That means that even people with sensitive gums and thin enamel can now whiten teeth without any problems. Tingles and irritations are a thing of the past. Dental bleaching usually lasts for a few years and your teeth will always be whiter than before the whitening. What is actually bleached in dental bleaching? 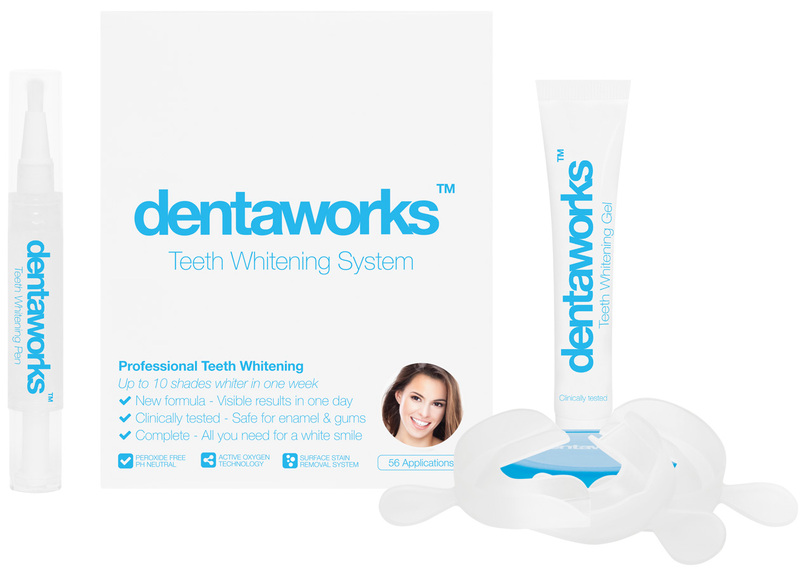 Dentaworks dental whitening works on natural teeth and bleaches the yellowness, stains and discolourations. The results are never uneven or spotty. Even organic discolouration on artificial teeth can be bleached to the original tone. Bleaching does not damage other work done to teeth such as crowns, bridges, braces or fillings. The formula which is neutral in pH and free from peroxide solves the problem of tingling and ulcerous/sore gums that can be caused by traditional bleaching agents containing carbamide peroxide and hydrogen peroxide. Many bleaching agents from other manufacturers also contain TEA (or triethanolamine), a hormone-disturbing substance that can cause cancer. 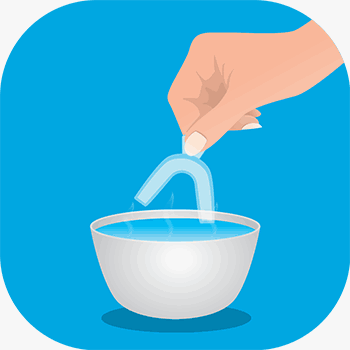 Why is this dental whitener cheaper than at a dental clinic? Dental mouth trays made by the dentist are expensive, but by forming them on your own at home you save thousands of kronor. As a rule you should reduce the amount of strongly coloured foods you eat and drink as much as possible during the whitening period for the best results. Dentaworks Soft dental mouth trays, compared with normal mouth trays, are manufactured in a special, crystal clear plastic that makes them softer and more comfortable to have in the mouth. They are easier to form against the teeth than other dental mouth trays and can also be reformed for a perfect fit. The mouth trays are formed by heating them in hot water which makes them soft enough to form against the teeth. Glycerine (veg), Sodium Bicarbonate, Aqua, Phthalimido-peroxycaproic acid, Xylitol, Cellulose Gum, Menthol flavor, Poloxamer, Sodium Laurel Sulphate, Citric acid. Our best value package - complete tooth whitening plus a whitening pen. "My teeth are white as snow after ten hours of whitening and I am absolutely satisfied with the products and, above all, with the price. I was always a bit sceptical towards "home-use products" but these worked really well! The tray however, is not the greatest, but it works OK. Thank you for a whiter smile!" "I am incredibly happy with the product. I have used it about ten times now, and my teeth are significantly whiter. The trays, however, are of a lesser quality. I am a dental student myself, and have always been wondering if the cheaper whitening systems work and have been sceptical as to whether they really do. I conducted my own experiment and whitened the upper jaw first to see if there would be a difference compared to the lower jaw. Incredible :) Everybody could see the difference. I just had to measure the colouring with a device that we use at the school. Yep, they are three steps whiter. I must also praise the service and the wonderful treatment you get from DentaWorks. One of my trays was deformed and I sent an e-mail to complain about it. Within two days I received a new tray, free of charge. Now I know what I will be recommending my future patients :) Why let them pay £200 for the same treatment? Thanks again and keep up the good work! Best regards." 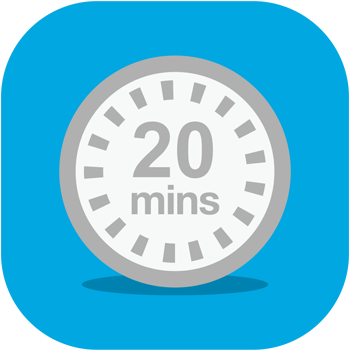 "I have just started and would like to begin by saying that the trays are excellent if you heat them up for quite a while and then press them onto the teeth – mine fit like a dream!! =) I’ll get back to you later about the result of the whitening..."
"I have been using DentaWorks whitening for five days and it made a huge difference for my teeth, they are significantly whiter and shinier than before. I would recommend DentaWorks whitening to anyone who wants shiny, white teeth." 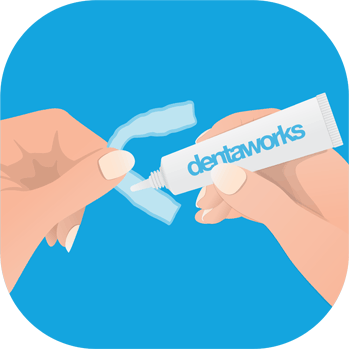 "I have been using DentaWorks for three days now and there is a definite difference… I am not happy yet however, so I will be using it a few more times. It is really effective, but it is a bit tricky knowing how much gel to put in the tray. If you use too much (which easily happens) it gets onto the gums, which hurts quite a lot, but it passes soon enough." "I just have to write and tell you what I think of your whitening. I am very happy and really satisfied. I have been whitening my teeth for five days now and I can see a massive difference. Usually, advertising is exaggerated. But it is incredible. MY TEETH ARE WHITE AGAIN.....And I was a little concerned about shooting pains (there was a slight sensation of pain the first two times I used it but after that, there was no discomfort whatsoever). I am more than satisfied and will be spreading the word to everybody =) Yours truly, Christina"
"Much better than other home use kits that I have tried"
"whiter teeth after just a couple of days. The mouth trays are rubbish though. But anyway..."
"Ok result, it doesn't get any better than this at the price. I'm happy"
"Super product! I used to work as a stewardess where you smile all the time. Huge success! I am so happy with my teeth! Thank you so much!" "I haven't tried the actual product yet, will order it now. But the staff is Great! Very good service and quick to respond! Continue your EXCELLENT work..."